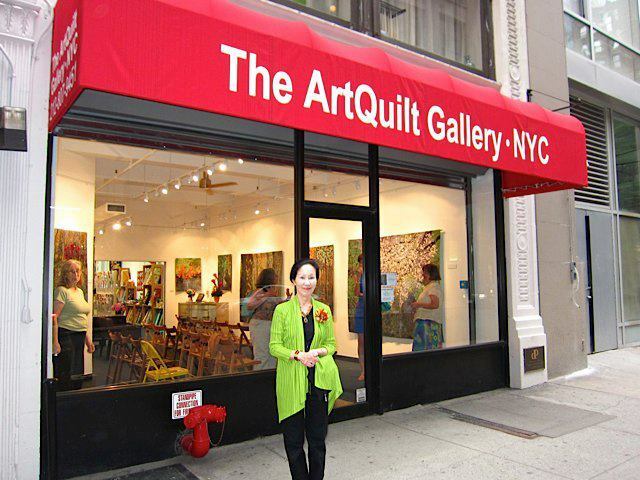 Noriko Endo, famous quilt artist from Japan, will teach in Bangkok on December 9, 10 and 11 thanks to Bernina Thailand. We will learn to use many tiny pieces of fabric to depict realistic landscapes. It will be fun to learn the Confetti technique and make a small oil-painting style quilt. The one-day workshop takes place at Central Chidlom in Bangkok. 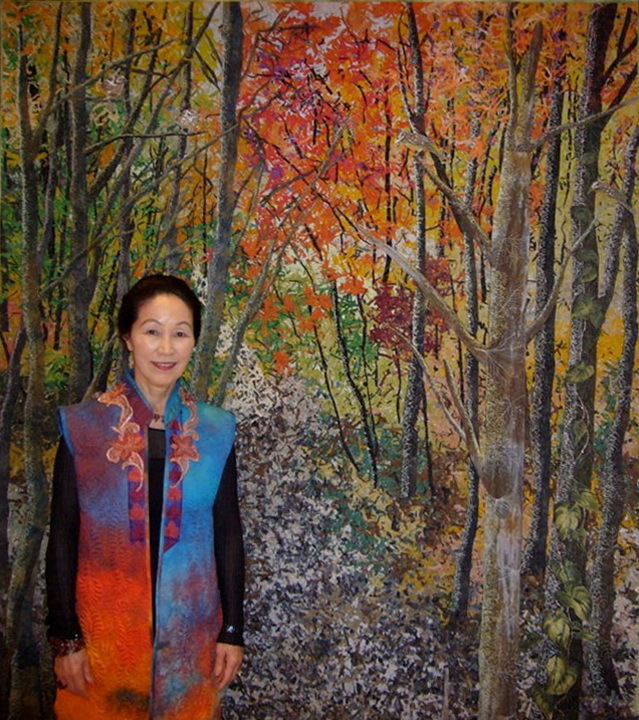 Noriko is an English-speaking teacher. Cost is 3,890 baht for non-Bernina, and 3,590 baht for Bernina customers. Sign up at the Bernina booths at Mall Bangkapi, Emporium or Paragon. 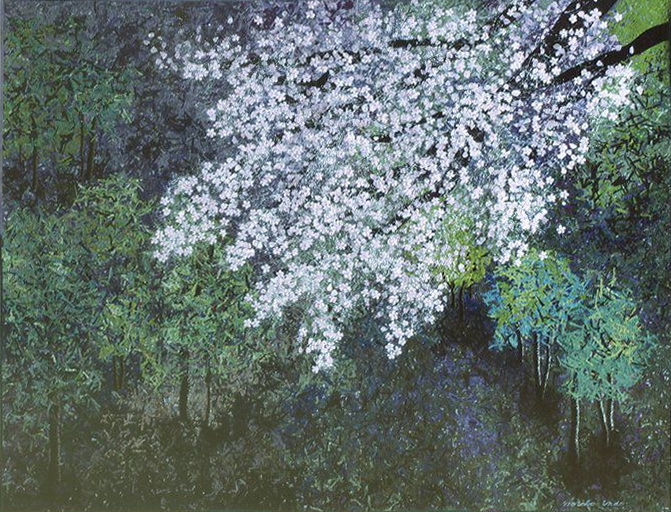 Her work will be shown in Verona, Italy March 6-11, 2012. 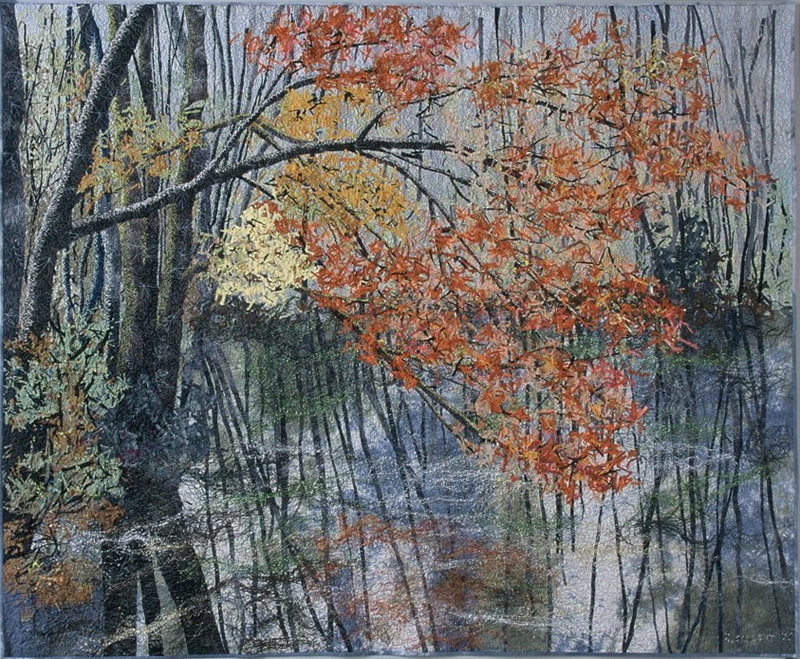 Use fabric scraps to make an impressionist quilt, use free motion stitching, add paint and texture. The style is free and fun. No drawing skills needed to create a masterpiece. When you finish the class you’ll have a beautiful naturescape wall hanging. Quilted Bag – make the Prettiest Bag Ever, and Unique. Learn an easy and pretty collage technique, which can be used in many quilting projects such as wall hangings and bags. 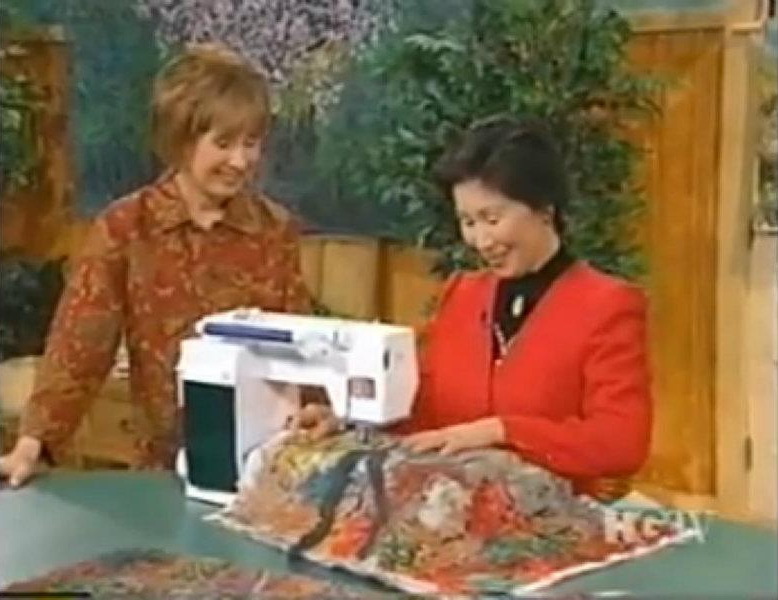 You will create your own style with scraps of fabric and paint. Bring scraps of fabric that you think you wouldn’t like to use in a quilt, and we will turn them into a beautiful bag. Included: one black backing, batting, sewing accessories, fabric to choose from. Please bring some of your own fabric to make your bag unique.